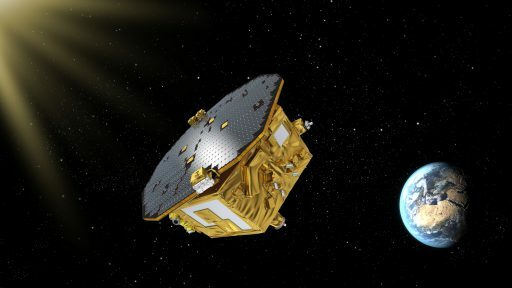 ESA’s LISA Pathfinder received its final commands from Earth on Tuesday, marking the end of a highly successful mission of one and a half years that demonstrated the working principle for a future gravitational waves observatory and completed a series of technical tests in its last weeks of operation to help inform the design of the future observatory mission – opening up an entirely new field of astronomy. 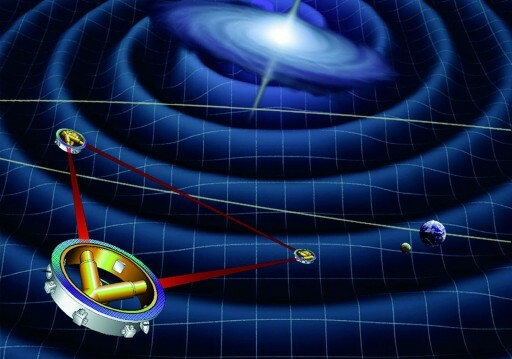 The primary objective of the LISA Pathfinder mission was the demonstration of a key technology needed for the measurement of gravitational waves – tiny ripples in the fabric of space predicted by Albert Einstein a century ago and measured for the first time by the ground-based LIGO observatory in 2015. While Earth-based instruments like LIGO are limited to frequencies above 100 cycles per second, a space-based observatory could measure waves with frequencies of a fraction of 1 Hertz by placing test masses into perfect drag-free flight, only influenced by gravity, and measuring their relative position to one another to detect a passing gravitational wave. 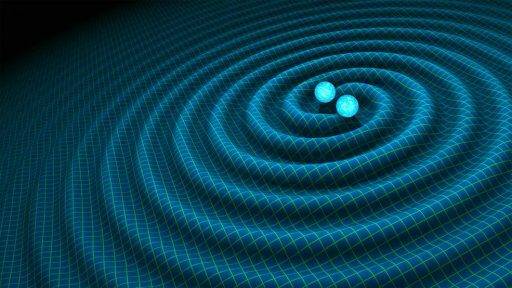 However, detecting gravitational waves will require test masses to be kept motionless to unprecedented levels of accuracy since gravitational waves will only cause a displacement on a scale of a few millionths of a millionth of a meter over a cosmic distance of a million Kilometers. 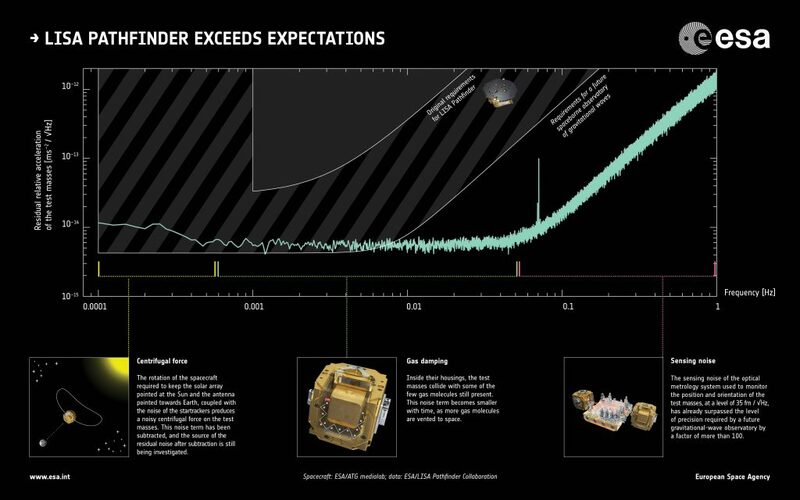 LISA Pathfinder was tasked with demonstrating whether drag-free flight would be possible and the small spacecraft also put to the test the laser-based measurement system that allows the test mass position to be measured with pico-meter accuracy – even over distances of one million Kilometers. 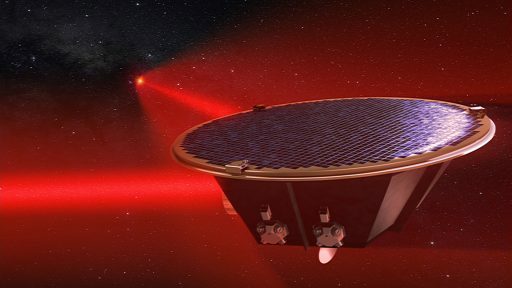 An operational LISA mission would consist of three spacecraft, deployed into a precise triangular formation 2.5 million Kilometers apart to detect passing gravitational waves that stem from super-massive phenomena in the Universe like two interacting black holes, supernova explosions or Neutron Star binaries. Retiring any technical risks prior to the tremendous financial investment in LISA was the primary goal of the $630 million pathfinder mission. Launching in December 2015 and arriving at its remote operating location 1.5 million Kilometers from Earth in January 2016, the 480-Kilogram LISA Pathfinder began its mission by demonstrating drag-free flight using its test mass package and a Cold Gas Micropropulsion System to counter any internal and external influences arising from solar pressure or cosmic dust impacts to keep the masses in an environment only driven by gravity. Later in the mission, the cold gas thrusters were switched off and NASA’s Disturbance Reduction System took over to demonstrate a second micropropulsion system which made use of Colloid Micro-Newton Thrusters. 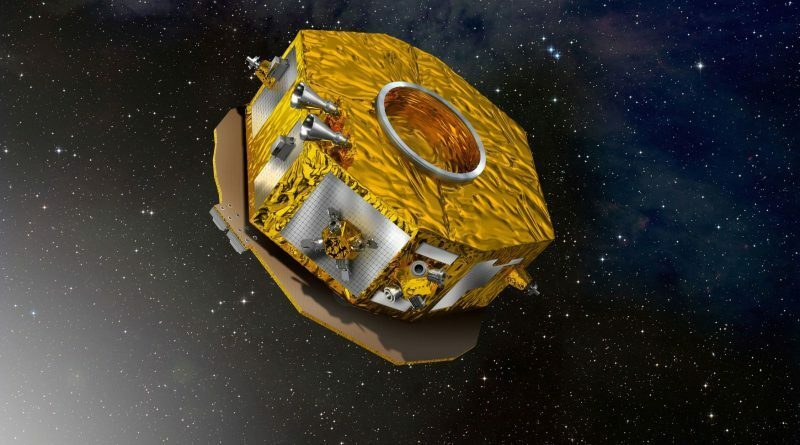 According to ESA, the free-fall environment of the two test masses was better than originally required – only experiencing a relative acceleration of ten millionths of a billionth of Earth’s gravity, around 10,000 times better than any previous drag-free mission – making LISA Pathfinder the most sensitive instrument for acceleration ever flown. LISA exceeded expectations by orders of magnitude. 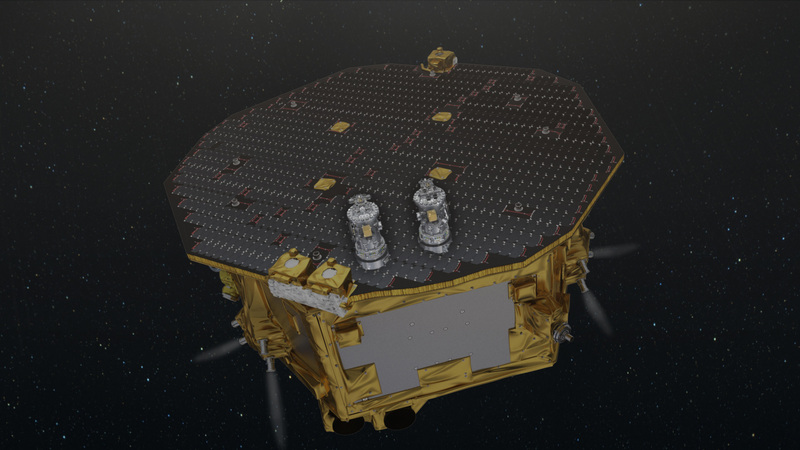 In fact, the instrument achieved its mission requirements within the first day of operations and further tweaking showed LISA Pathfinder’s precision for frequencies between 60 milli-Hertz and 1 Hz surpassed the requirement for an operational LISA mission by a factor of over 100. At lower frequencies down to 1 mHz, scientists found, LISA would be limited by gas molecules bouncing off the test masses and causing disturbance while the spacecraft was still outgassing. Having tested out both the Cold Gas and the Colloid Thrusters over a six-month primary mission, LISA Pathfinder entered a six-month extended mission in December, continuing in orbit around the Sun-Earth Lagrange Point 1 that offered a stable gravitational and thermal environment for the test mission. In January, engineers switched off all but the most essential heaters on the spacecraft to cool the vehicle from a steady temperature of 22°C to 11°C to slow down the outgassing the reduce the mean particle speed in order to see whether that would affect the measurement efficiency at the lower frequencies. 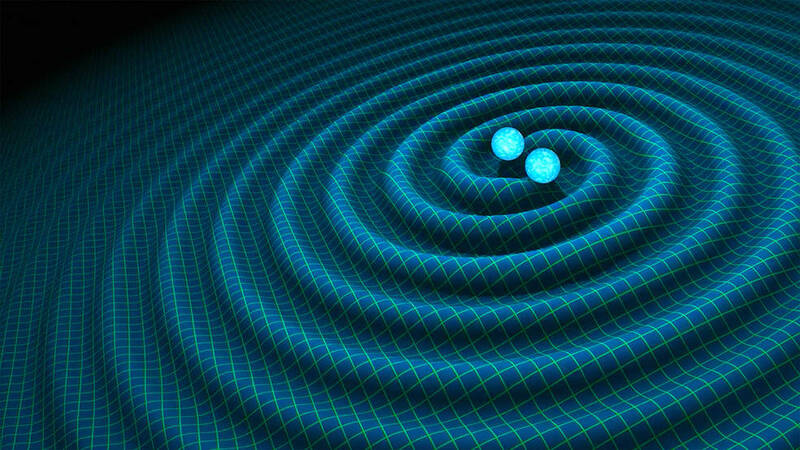 By February, the team determined that the signal-to-noise ratio for the 1 – 60 mHz range had reached acceptable levels for a future gravitational waves observatory. 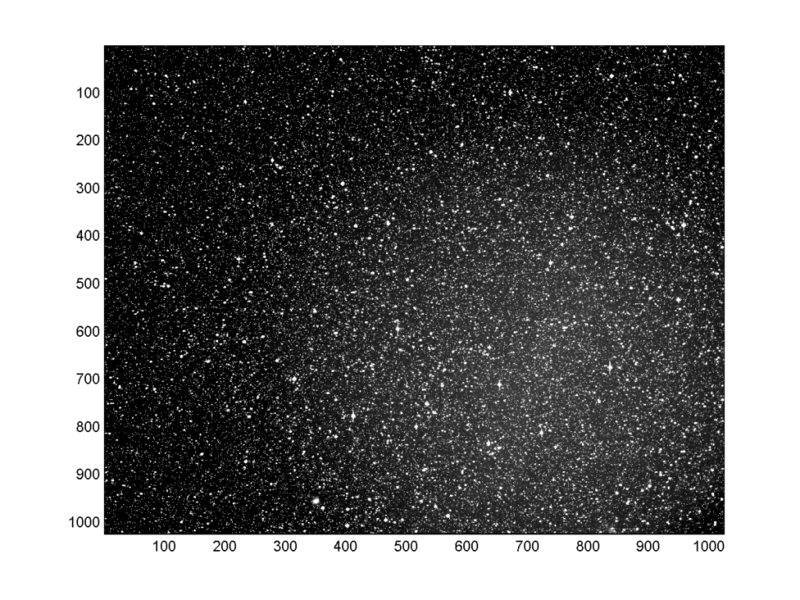 In addition to its technology demonstration mission, LISA Pathfinder also produced auxiliary data found valuable in a number of scientific fields. The mission achieved the most sensitive measurement of the perturbation of the free-fall motion caused by cosmic rays; LISA Pathfinder data will also be re-purposed to assess the distribution and influx of cosmic dust particles and the mission delivered data useful for quantum physicists. Since January, LISA Pathfinder’s redundant Star Tracker had been updated with a software patch to collect one ten-minute long-exposure image per hour for the remainder of the mission to support ESA’s Near-Earth Object office in their search for asteroids. Several asteroids have been identified in the images and additional work is underway to analyze the data and fit trajectories for all NEOs discovered by the mission. The test was primarily used to evaluate this imaging technique for potential future space-based NEO observatories that could patch up a blind corner as incoming asteroids can not be seen from Earth when approaching from the sun’s direction. Heading into the last four weeks of mission operations, engineers started pushing the spacecraft’s various systems to the limit to gather valuable data on their performance and help with the design of the operational LISA mission. Teams looked at the properties of the vacuum enclosures holding the test masses, the charging properties of the gold test masses themselves and tried out the test mass grabbing & release mechanisms in different operational conditions. The scientific part of the mission ended on June 30 and engineers were handed full control over the mission for some hardware tests that could not be safely performed during the science mission. First up were a series of thermal tests with the spacecraft in different orientations relative to the sun to assess thermal effects on various subsystem components including the performance of the micropropulsion system. Other tests looked at potential magnetic interference from the pressure regulation valves in the propulsion system on the craft’s magnetic momentum and test masses. Engineering limits on the micropropulsion system were tested out by reducing the tank pressure to under one bar and a range of other tests involving the thrusters were conducted over a period of around one week including a full thrust test and firings at different temperatures to fully understand the system’s capabilities to improve the performance of future spacecraft. Also, engineers measured the output of the solar array to asses degradation after an extended stint in the challenging space environment. Intentional power fluctuations were introduced into the Laser Interferometer that measures the distance between the test masses with pico-meter accuracy to demonstrate its operational envelope and potential influence on the masses. More capture & release tests with the masses were on tap on July 13 using the electrostatic control system within the test mass enclosure to zero-in on its limitations. 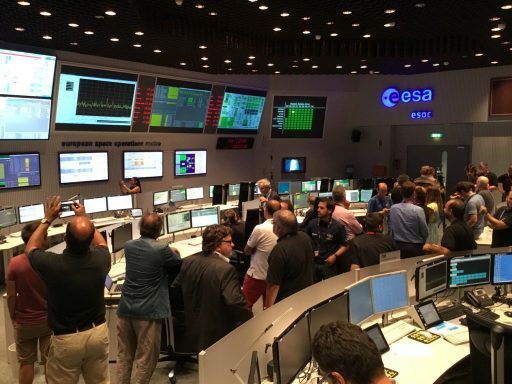 On July 14, the Mission Team reacted on short notice and postponed a spin-up maneuvering test and put the craft back into science mode to measure the charge build up on the test masses under high solar activity as there had just been an Earth-directed solar flare. Teams also completed another low-pressure test on the thrusters going to a tank pressure of only 0.2 bar. Starting on Monday, teams at the European Space Operations Center began the process of passivation – placing LISA Pathfinder in a fully safe state for the end of its mission with all tanks vented down, batteries discharged and transmitters disabled for all eternity. 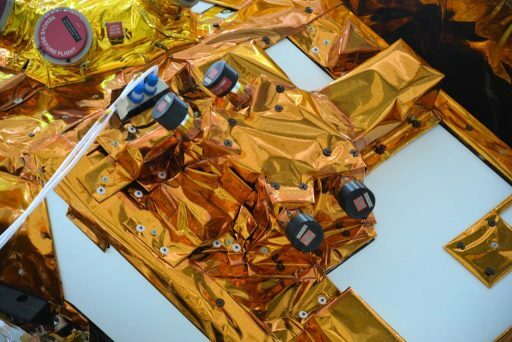 Data was dumped from the spacecraft memory and the LISA Technology Package was powered off, marking the end of test mass operations after over 16 months. Commands were also uplinked to disable the redundant spacecraft computer and put the vehicle into safe mode. 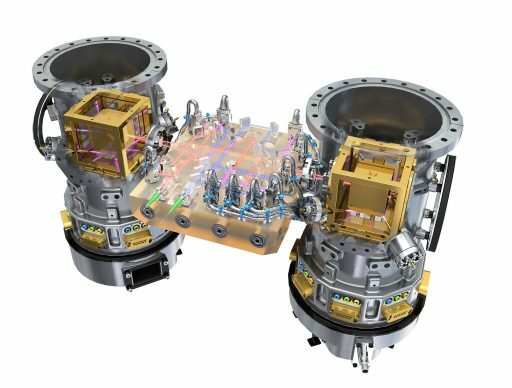 On Tuesday, LISA Pathfinder checked in for one last four-hour communications pass, receiving commands to fully power off the A-chain on onboard systems. At 18 UTC, teams at ESOC sent the final command to the faraway spacecraft, being transmitted by the Cebreros ground station in Spain and reaching the spacecraft some five seconds later after traversing 1.5 million Kilometers, instructing the spacecraft to power off the transmitter and shut down all remaining onboard systems. The carrier signal from LISA Pathfinder faded ten seconds after the command was sent as the craft went silent for the rest of time. 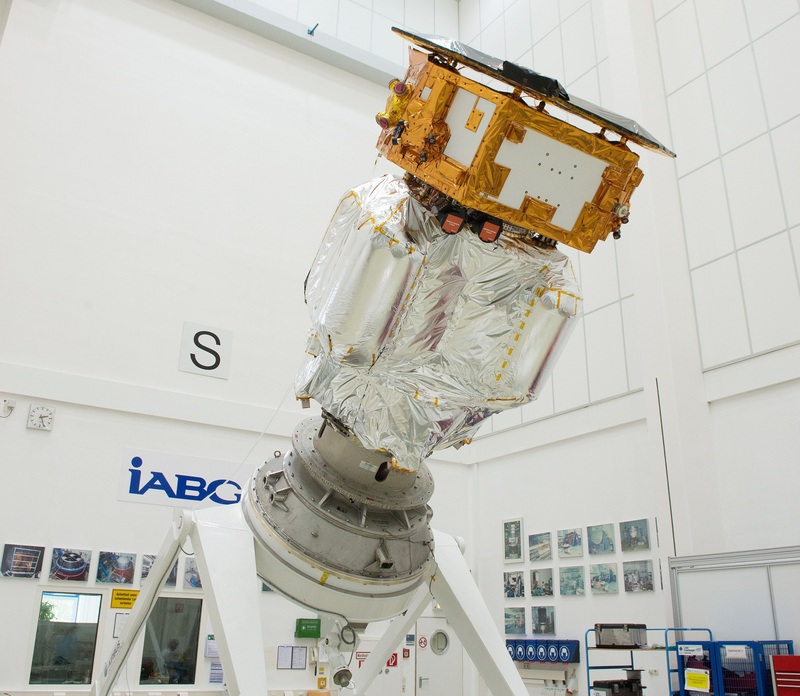 To comply with debris safety regulations, LISA Pathfinder completed a five-day “de-orbit” maneuver in April – firing its thrusters to depart the L1 location and enter a stable orbit around the sun inside that of Earth. Trajectory assessments showed a chance of under 0.2% for the spacecraft intersecting Earth or the Moon in the next 100 years. ESA’s Science Program Committee officially cleared the way for the LISA mission to move forward on June 20, allowing it to enter a detailed phase of study to work out the spacecraft design and precise scientific scope of the mission which – if passing final selection – would be looking at a launch date in 2034. LISA, going by the full name of Laser Interferometer Space Antenna, would have a launch mass of 6,000 Kilograms, requiring an Ariane 6 launch vehicle to send the three craft on a 1.5-year drift into their independent heliocentric orbit for a primary mission of at least four years. NASA is expected to be involved as a partner, covering around 20% of the cost through instruments and other technologies.